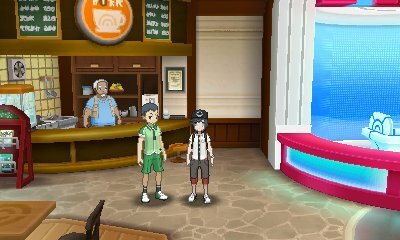 In the Konikoni City's Pokémon Center, you'll encounter a trainer who can't decide what to evolve her Poliwhirl into so asks for you to trade with her. 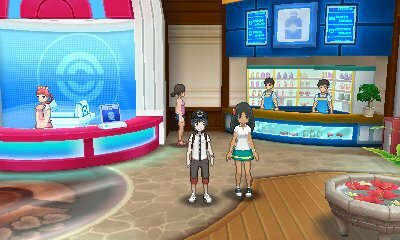 In the Route 2 Pokémon Center, you'll encounter a trainer who wants to trade her Machop for your Spearow. 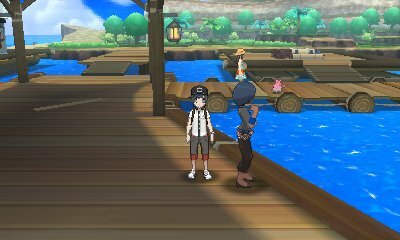 This is very handy ahead of the first trial. 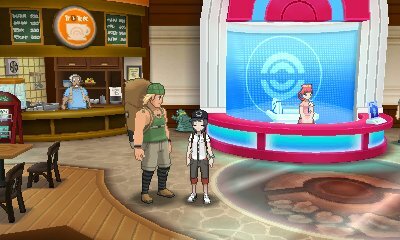 In the Pokémon Center in Tapu Village, you will find a trainer who wants to trade his Graveler with your Haunter in order to test a theory. When you have completed the trade, the Graveler will automatically evolve. 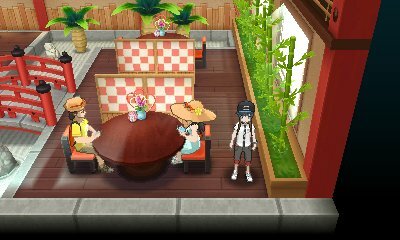 In the Sushi High Roller in Malie City, you'll find a trainer who wishes to trade her Happiny for your Pancham. 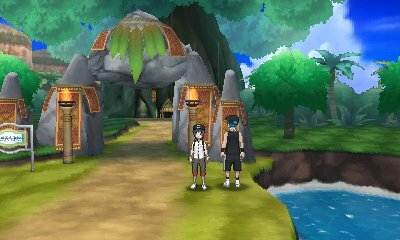 Just before the entrance to the Battle Tree in Poni Gauntlet, you'll see this trainer who wants to trade his Talonflame for your Bewear so he can take on the Battle Tree. This Talonflame has its Hidden Ability. 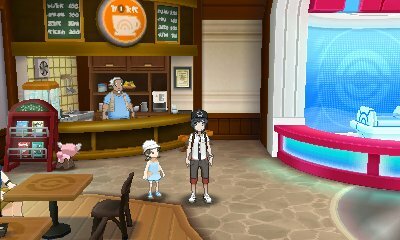 In the Route 5 Pokémon Center, you'll encounter a trainer who wants to trade her Bounsweet for your Lillipup, which can be found in Brooklet Hill.